Fri., Jan. 22, 2010, 5:59 p.m. Follow the Idaho Legislature at Eye on Boise. BOISE - Idaho Gov. Butch Otter and state Parks Director Nancy Merrill announced a plan Friday to save $4.5 million at the state parks department next year - but not to eliminate it. Merrill and Otter said they’ll take $2 million from RV registration funds to help operate parks with RV use, including Farragut in North Idaho; drain $1.4 million from cash balances at the department; and cut $1.1 million from personnel by cutting 25 positions at state parks headquarters. Otter abandoned his proposal to sell the headquarters building, however. In his original plan, he hoped to save $10 million by cutting state funding for parks, with half the money coming from the sale of the Boise headquarters building. The governor’s budget proposal to lawmakers this year called for merging the parks department into the state Department of Lands. But Otter said that was just “conceptual.” He said, “The whole idea that we were going to eliminate the parks department was dead wrong,” and apologized for anxiety his proposal created among park users. Merrill said park fees will increase, but the increases will be modest and will vary around the state. Don Weilmunster, president of the Idaho Parks Foundation, said he was relieved by the announcement. The foundation was formed to handle the Harriman State Park donation to the state in the 1960s; Weilmunster participated in the negotiations from the start. The gift required Idaho to set up a professional parks department to manage Harriman and other state parks - and eliminating the department could have cost the state the landmark eastern Idaho state park. 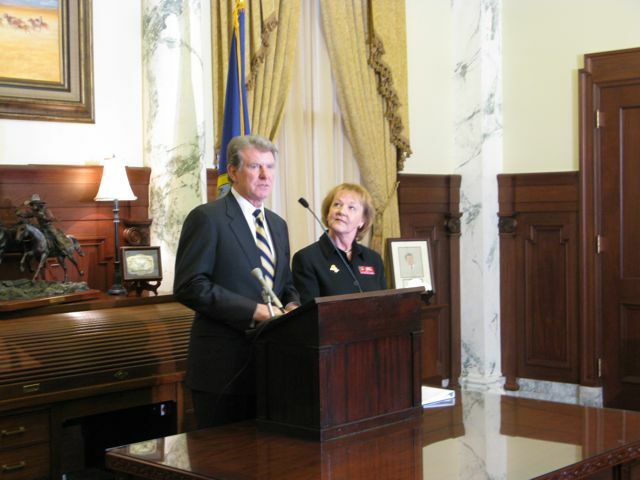 The Idaho Legislature now will consider Otter’s plan, which includes investigating selling about 15 acres surrounding the Parks and Recreation headquarters east of Boise and moving other state agencies into parts of the building vacated by laid-off employees. Friday’s proposal also foresees other changes: Raising campsite fees by $2 to $3, depending on location; boosting the cost of driving into a park to $5, from $4 now; and adding to user costs for dock slips, cabins and yurts. Otter said he wants to manage parks in a more self-sustaining fashion and avoid drastic measures like closing down access to some of the public’s most beloved areas, as some other states are considering. In Arizona, for instance, lawmakers are in the process of shuttering as many as 18 parks. Published: Jan. 22, 2010, 5:59 p.m.